The 10 Best Museums Rhode Island! Rhode Island may be a small state, but you are sure to find a plethora of excellent museums here, boasting niche and impressive collections. For fans of just about anything, you'll find a museum that matches your interests, whether it’s sailing, tennis, cooking, or all of the above! A National Historic monument, the Breakers is the ancient mansion of the Vanderbilt family and can be found in Newport, Rhode Island. The manor is kept beautifully, and an audio guide around the property unlocks the history of the house and its ancient day to day operations. As the museum accompanying one of the greatest art schools in the world, it’s no wonder that the Rhode Island School of Design’s (RISD) galleries are a gem within Providence. The museum houses an impressive yet small collection, with digestible information placarded on the walls. The museum is walkable, creative, and is always in search of new expositions to display, expanding the full range of art from antiquity to present day. Admission is free to all on Sundays. The Elms was the summer cottage of coal entrepreneur Edward Julius Berwind, but “cottage” doesn’t do this museum justice. The estate’s construction cost approximately $1.5 million, as it was modeled after chateaus in France. Now visitors can experience the house’s jaw-dropping views for themselves, as they take a pleasant stroll through the esteemed hallways while listening to an informative audio guide. 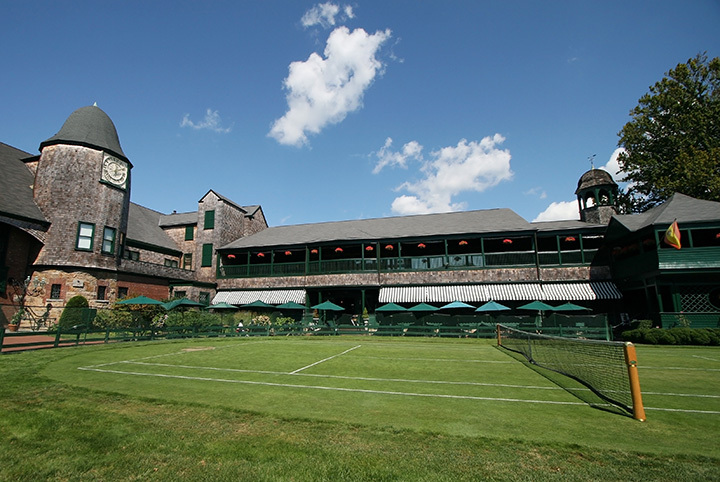 Another one of Newport’s treasures, the International Tennis Hall of Fame was the very first location of the U.S. Open. Enthusiastic guides will open your eyes to the history of the museum. You can even gear up and play on the perfectly-maintained courts yourself. Tennis lovers won’t want to miss this spot. Passionate sailors will love reading about the history of classic boating and will stare in awe at the pristine detail of boats showcased by the Herreshoff. Located close to the ocean, you will feel immersed within Bristol’s marine culture as you wander through the halls of the museum. Visitors also love their gift shop for nautical-themed souvenirs. Curators Laurence and Judy Cutler converted Vernon Court, a beautiful old mansion, into an expansive gallery with several unique pieces. The galleries contain the second largest collection of Norman Rockwell’s work, as well as the largest collection of pieces by Mayfield Parrish. As you observe illustration after illustration, you will come to understand the profound impact of illustrators on American culture. The Slate Mill Museum functions as a museum recounting the history of the Industrial Revolution by day but moonlights as a magical venue for weddings and events. Even Rhode Islanders who have lived here for years may pass by the museum without remarking its historical importance, but it’s a place that came to shape the history of Rhode Island during a pivotal point in the industrial revolution. With restored cars and meticulous classics, you’ll feel as if you’ve been transported to another era in the Audrain Automobile Museum. If you love American classics, you won’t regret spending the $10 entry fee to observe the precise details maintained on cars like a classic Mercedes from the 50s and the 40s Delahaye from France. While the curators don’t usually house many cars in the museum at once, you’ll appreciate the fine finishing on each one to the last detail. Providence isn’t just the creative capital in terms of visual arts, they’ve got a history of culinary arts as well! Unique among Rhode Island’s other museums, you’ll be wondering why other cities don’t have their own culinary museums. The Culinary Arts Museum often displays temporary exhibitions drawn from the work of students at Johnson and Wales nearby, in addition to their equally delectable permanent exhibitions. Located in a charming Tudor-style home, the architecture of this museum is as excellent as the artwork it houses! The museum grounds will stun you, although the collection is considerably small. Rhode Island natives may appreciate seeing local artists on display in the museum’s rotating galleries.